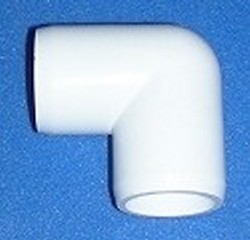 406-020F 90° 2 inch elbow Furniture Grade Fitting. 2" slip socket 90° elbow, furniture grade fitting. UV protected. Glossy white.